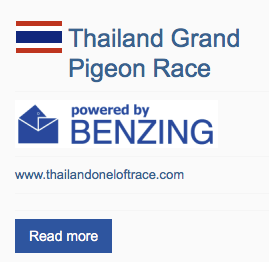 Chiangmai is a one day middle/long distance race considered by locals as a classic selection of good pigeons. The race terrain is quite mountainous up north and the pigeons have to fight the strong side wind from the northeast and thus the flock is usually blown to the Westside necessitating the pigeons to take a big detour and fighting the wind back to their destination in Bangkok. In a good cool winter day with not so strong wind, the race could be an easy one with speed higher than 1250 mpm to the liking of middle distance pigeons. In a hot and cloudy day the race can be difficult and thus the one-day long distance or even the fond type can do well. Statistically speaking, small to medium size hens took most of the top prizes but again, there are always more hens than male pigeons registered in the races. Some casualties could be expected during the training and hotspot races because big flocks of pigeons flying are prone to accidents and it would still be in the very warm and raining season. Despite all these challenges, foreign birds have been performing equally well considering they are smaller in total number compared to local entries. Therefore, prepare your breeding pairs accordingly to have a versatile kit of entries to meet variations of circumstance. It is recommended also that you send the birds as soon as possible so that they become mature enough to keep pace with older birds. 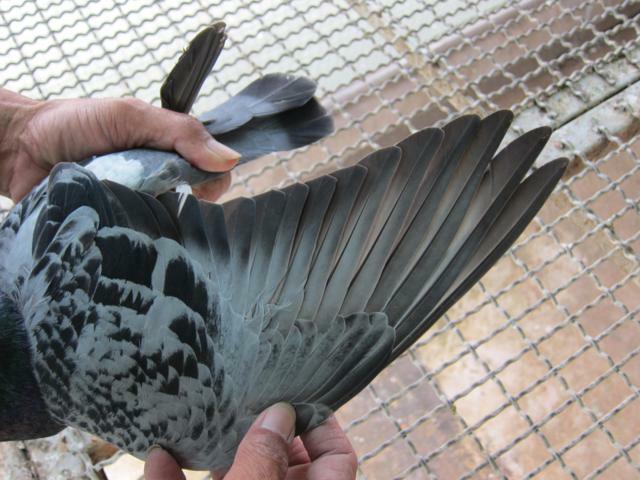 It is imperative that all young pigeons are vaccinated against paramyxo and pigeon pox when they are about three week old. Then they must be kept at your own loft for at least ten days before they are sent to our bird collectors and/or race coordinators. We will vaccinate them again upon arrival at our quarantine loft. Besides providing us with some medication supplies ?from Belgica De Weerd, Dr. Henk De Weerd is also be our adviser on veterinary care. – Heath certificate issued by your state endorsed veterinarian certifying that the pigeons are free of AIV and Paramyxo. – Invoice stating that the value for each pigeon is Euro 20 or ?no commercial value? Check with your airline if there are any other particular documents they require. It is very important that you schedule the shipment not to arrive in Bangkok from Friday through Sunday because the pigeons will have to stay at the?airport during the whole week end.